Lana Wood, the sister of actress Natalie Wood whose drowning death in 1981 has fueled speculation for decades, has put out a plea for information about the case in a new podcast. 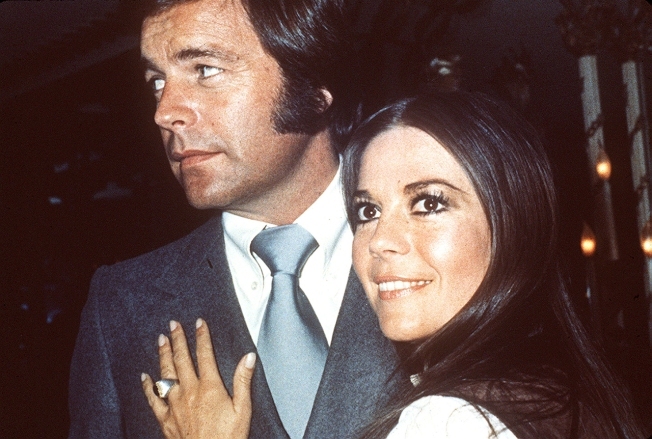 The podcast, Fatal Voyage: The Mysterious Death of Natalie Wood, reveals parts of Natalie Wood's unpublished memoir detailing her volatile relationship with 87-year-old actor Robert Wagner. The podcast also features others who raise questions about the suspicious death. In the podcast, Lana Wood put out a plea to Wagner, who authorities have called a "person of interest" in the death. "Tell the truth once and for all," Lana Wood said in the podcast. "I wish he would admit what happened. You want to end all this? How about telling what happened?" The Oscar-nominated actress known for her roles in "West Side Story" and "Rebel Without a Cause" drowned off Catalina Island while boating Thanksgiving weekend in 1981 with Wagner, actor Christopher Walken and Dennis Davern, the captain of the yacht, Splendour. Her body was found floating in the water after a night of drinking. She was 43. Investigators initially ruled her death an accident, but the Los Angeles County Sheriff's Department reopened the case in 2011 to see whether Wagner or anyone else played a role after Davern said he heard the couple arguing the night of her disappearance. Wagner has denied any involvement in his wife's death and no charges have been filed. His publicist, Alan Nierob, did not return messages seeking comment. The podcast also brings up an autopsy that suggests an assault before her disappearance. "There is a lot of suspicion around her death," Sheriff's Detective Ralph Hernandez, who worked the reopening of the case in 2011, told NBC4. "I think it will be important to find the truth, if it was a tragic accident or something more heinous." Walken told People magazine in 1986 he was asleep at the time she slipped and fell in the water, but didn't know what happened. Since then, he's speculated about what happened, but ultimately called it an accident. "The people who are convinced that there was something more to it than what came out in the investigation will never be satisfied with the truth. Because the truth is, there is nothing more to it," Walken told Vanity Fair in an article in 2000. "It was an accident."